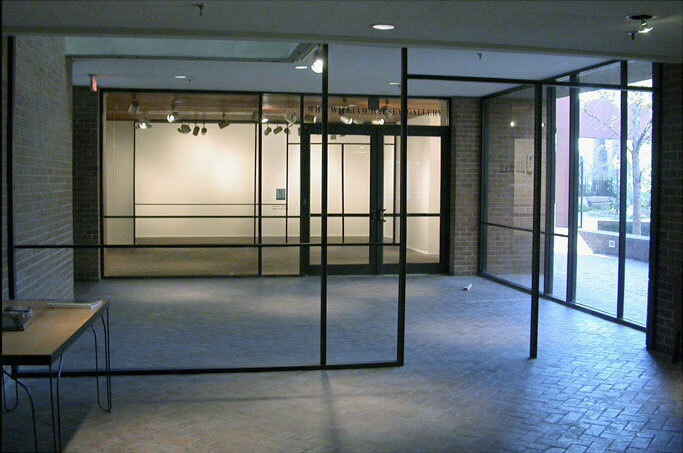 The glass entrance of the gallery was re-iterated by creating two replicas of the original framework in wood. 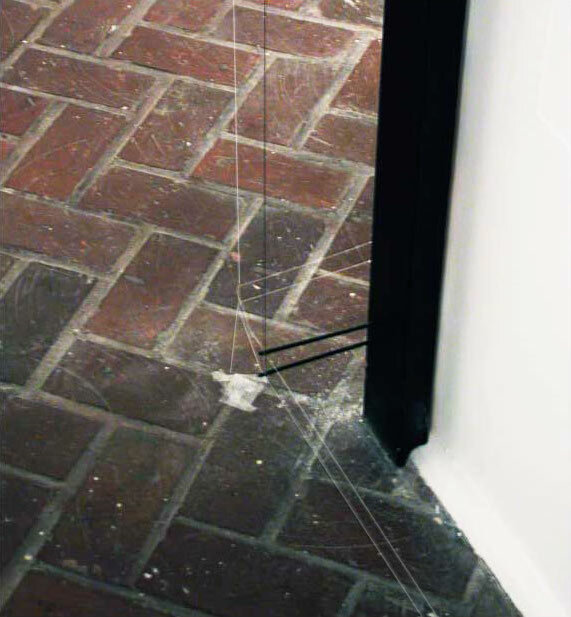 One was placed 20ft away from the entrance inside the gallery and one 20ft outside. This created confusion as to where the art viewing space actually began. The show dealt with the newer, the historic and the perceived boundaries of the space. 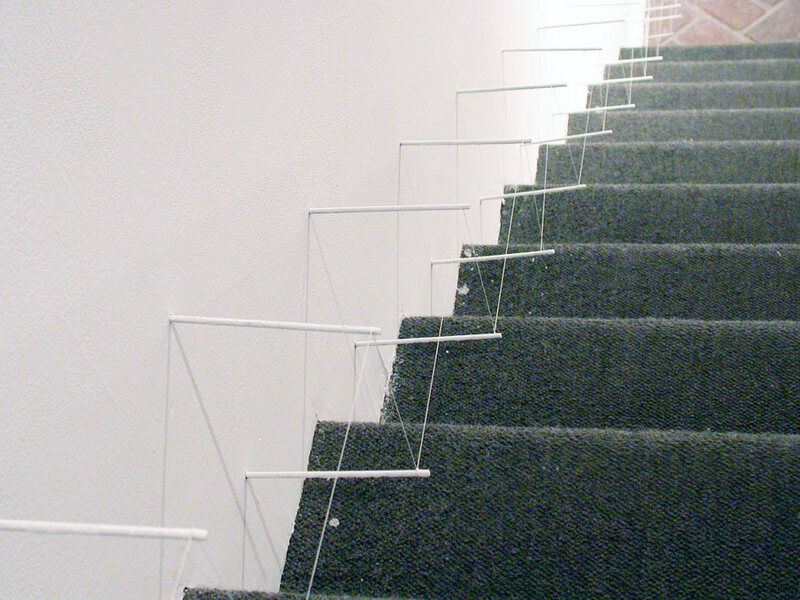 View of string grid from outside the gallery. View of gallery from outside. The older entrances to the gallery (windows and doors) had been blocked off from the inside. 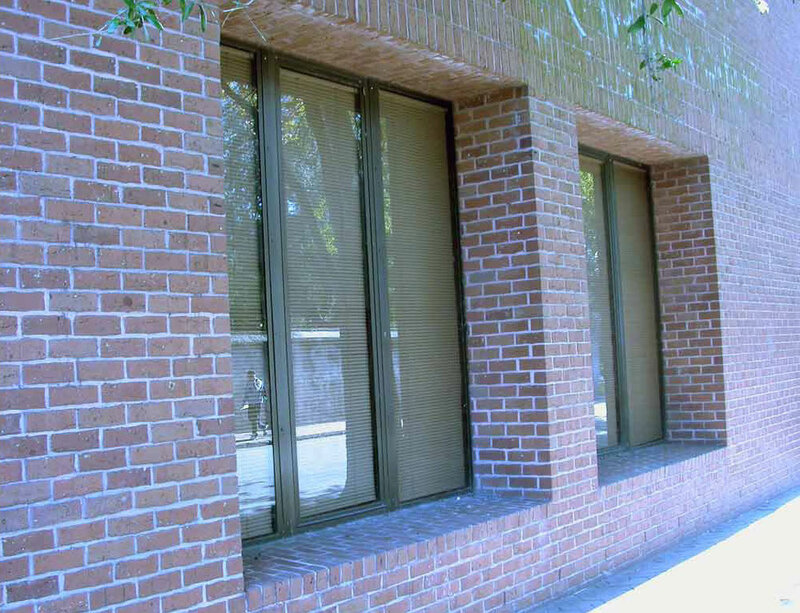 Like much of the architecture in Charleston it retained elements from its history, but simply ignored them to create a newer, more functional solution. The original windows and entryway to the gallery were blocked from the inside by dry wall years ago when the new entrance was constructed, but left unaltered on the outside (previous image) as markers of history and transformation, but now non-functional and absurd. 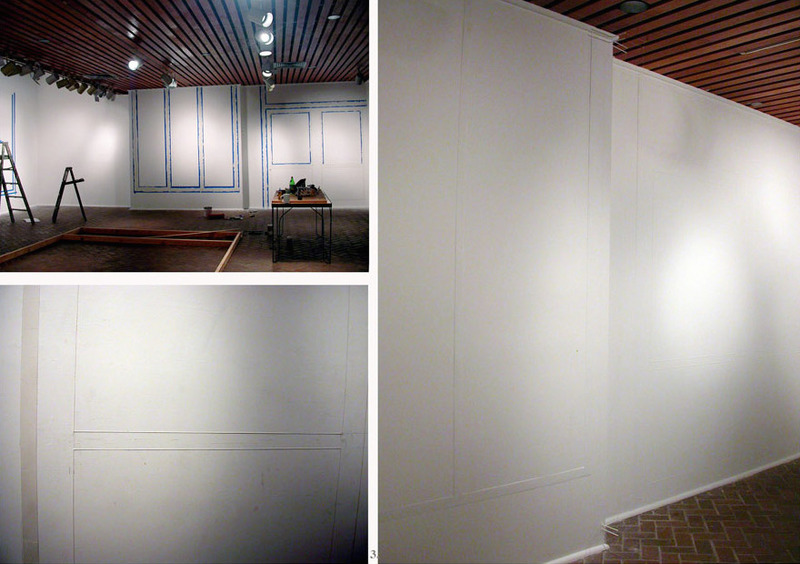 Their ghost like emergence was created with plaster in their corresponding positions on the inner walls. They stayed almost invisible despite their size (9.7ftx8.5ft). Image 1 is a view during installation. 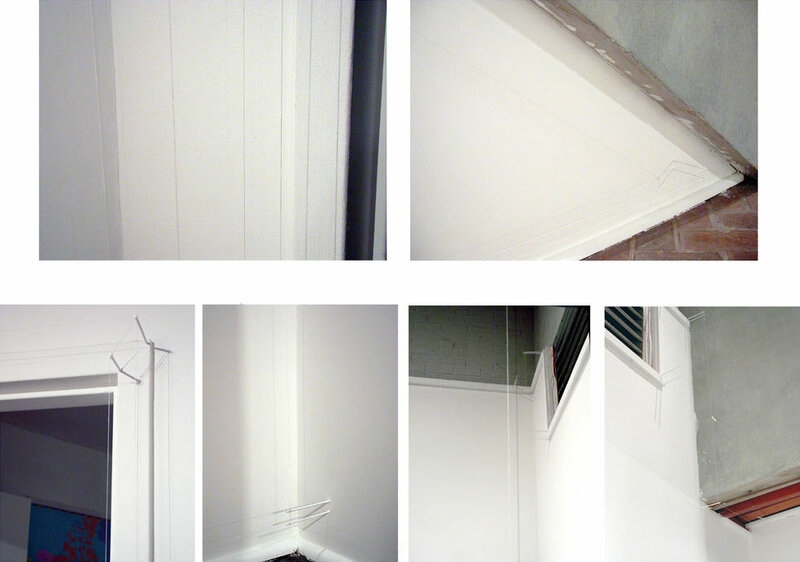 The string throughout the gallery created a second wall, 6 inches from the original. 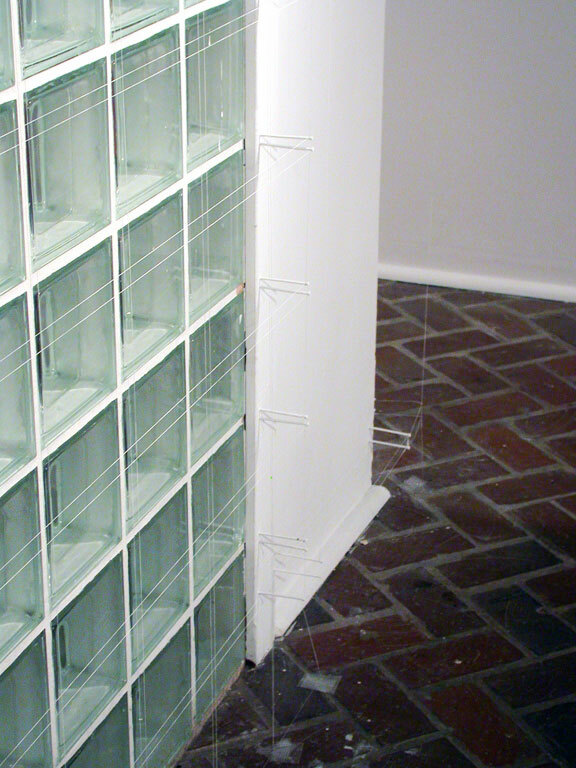 It exaggerated the idiosyncrasies of the gallery frame, detrimental to its “White Cubeness”. 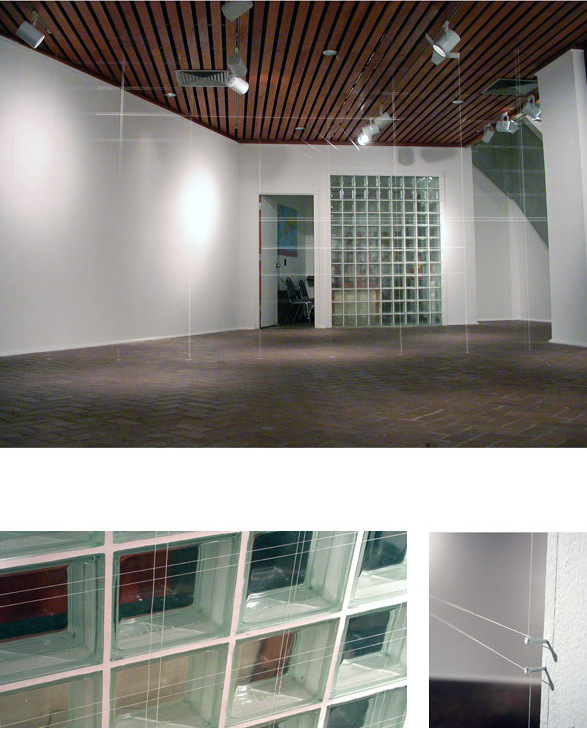 In this case the string not only followed the glass cube wall proportionately but also projected into space, skewing the relative dimensions of the cubes and emphasizing the diagonal nature of the wall. Details of the string frame echoing the architecture. 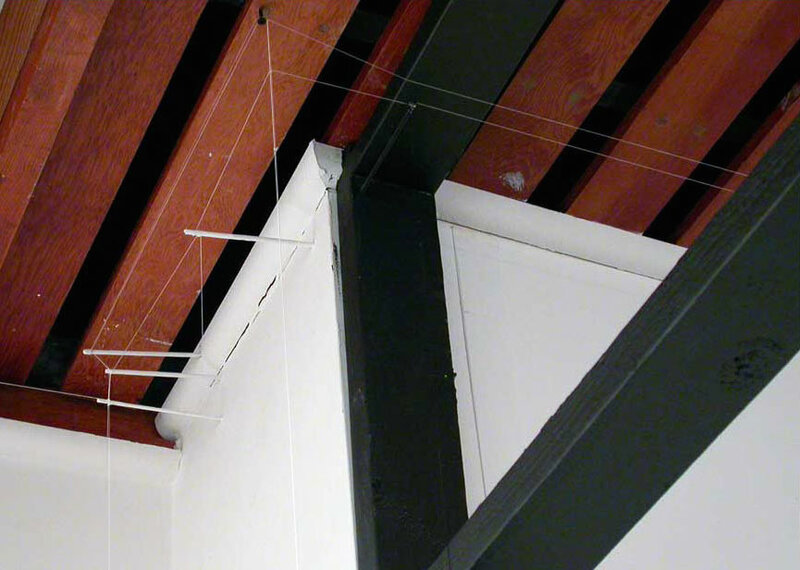 Details of the string frame echoing the architecture. It became harder to differentiate between actual edges and perceived edges as the strings and shadows caused visual blurring. This entire show was about the edges of ’the art viewing space“.